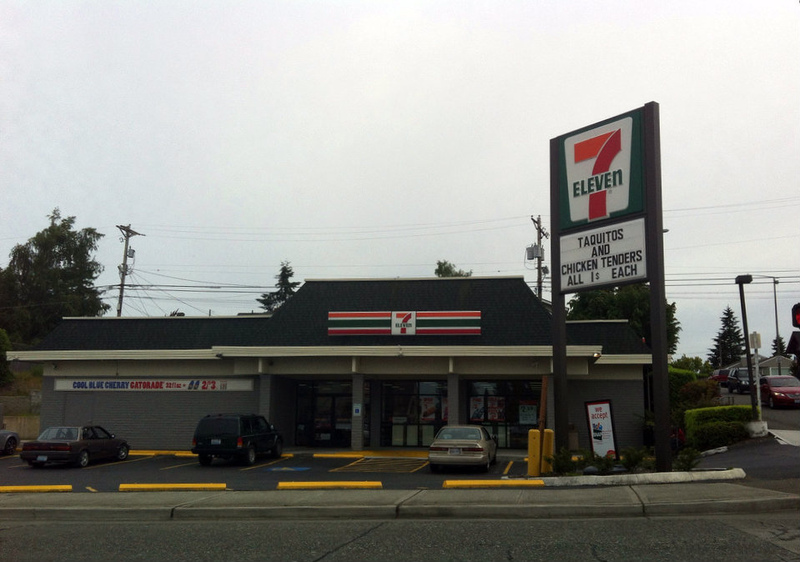 When we first moved to Tacoma, this 7 Eleven was well ummm a 7 Eleven. Then for a while it was a pretty decent Indian food restaurant. And now its a 7 Eleven again. It is located at 3115 Sixth Avenue at the corner of Sixth and South Alder in Tacoma. This entry was posted in Chain stores (there are a bunch of them), Stores and other places that sell you things, Tacoma, WA State - Pierce County and tagged #11, 6th, 7-Eleven, Ave., Avenue, food, Indian, restaurant, Seven, sixth, Tacoma, WA on June 15, 2012 by admin.